What do we mean by IndChW? IndChW, or individual challenge wins, is the sum of all individual challenges won. When people talk about how many challenges Contestant X won, this is probably the stat they mean. These can be reward, immunity, or reward/immunity, but it excludes post-merge team challenges and Redemption/Exile Island duels (which are handled separately here). This is winning under your own power, in a real competition. Ties are broken in favor of the person with the fewest individual challenge appearances. We cut the table off at three wins, because you have to stop somewhere. Note: The only exception is challenges that include loved ones. We've tried our best to include challenges where the Survivor is paired with their loved one, but exclude ones in which the loved one competes in the Survivor's place. Feel free to let us know if we missed or messed up something, in the comments below. *Additional note: Terry's total now [update: Does NOT include] the first reward challenge in Panama-Exile Island, in which each of the four tribes had one representative run out and smash fake skulls to find a key. This was technically a tribal challenge, but we scored it as individual (as with the Ozzy/Coach "hero challenge" that opened South Pacific, and Boston Rob's Ep6 win in the second, reward portion of the Rope-A-Dope challenge vs. Candice). It's kind of a grey area. 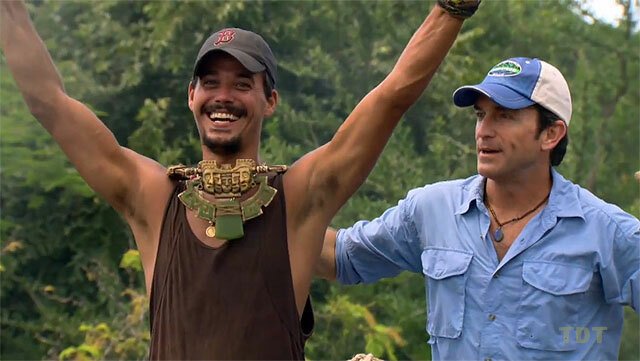 If it's scored as tribal, Terry and Colby are tied for most total wins, with 7. - Update, 9/10/16: Upon further review, the initial RC in Panama was really the first-ever Survivor duel/ hero challenge, no? It even took place on a non-challenge site on Exile Island. Back to 7 wins you go, Terry. **Additional additional note: In re-watching The Australian Outback, we took away a challenge appearance for Colby, since none of the contestants competed in the Ep12 Loved Ones RC. Rather, their loved ones competed in their place. IndChW: Challenge wins. How many times they won. IndChA: Challenge Appearances. The number of challenges in which they competed.